One of you emailed me and had some questions about terminology that I used that you didn’t understand, so I’m creating an on-going list here to add explanations and definitions. In other words, I’ll keep adding definitions and terminology in this particular post. If you don’t understand something, please feel free to ask me. A piece of writing that is at its very beginning stages of development. When I and your other professors assign you to write a draft or a rough draft, we are not expecting “perfection”; we simply want to see where you are at the beginning stages of writing. In creative writing, most first efforts are considered drafts and rough drafts. It is a rare writer, indeed, who can write a finished story in a first draft. I can’t, and to prove it, I am posting a first draft of a new novel on my Macedonian Journal website. So when you submit a draft to me, I will read it and offer comments. For this class, I will offer both grammatical and creative commentary. (In the U.S., I rarely offer extensive grammatical comments because we assume that native speakers will have a good grasp of their native tongue. 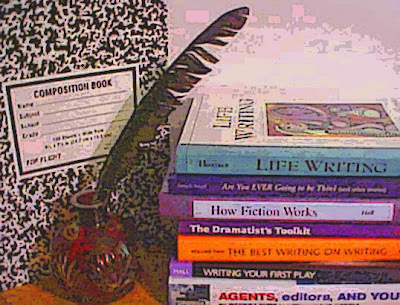 However, for you, creative writing is primarily a language class; therefore, the creative aspect is secondary). Throughout the semester, you will be assigned to write six drafts, but for grading purposes, you will be responsible for submitting only four of them. I also assign drafts in this manner in the U.S. This is simply a new draft based on what you have written in #1, including editing and creative revisions. After you read my comments, you will revise your rough draft. By reading and incorporating my comments on your grammar, spelling, usage, sentence structure, etc., it is my hope that you will become better writers of English. As for my creative comments, it will be up to you to decide if you agree or disagree with my comments. For example, one of your peers has already shown me a story. I made a creative suggestion, but it will be up to the writer if she wants to try my suggestion. She will NOT be penalized if she chooses not to try out my idea. A final portfolio consists of a body of work that has been fully revised. For this class, you will be revising again the stories selected and already revised for #2. Your final portfolio need not be “perfect,” just better and improved from the #1 drafts and #2 revisions. From my standpoint, the “process” of writing is more important than “perfection.” In other words, I would like to see your Final Portfolio offer an improvement over your drafts, but I am not expecting perfection.